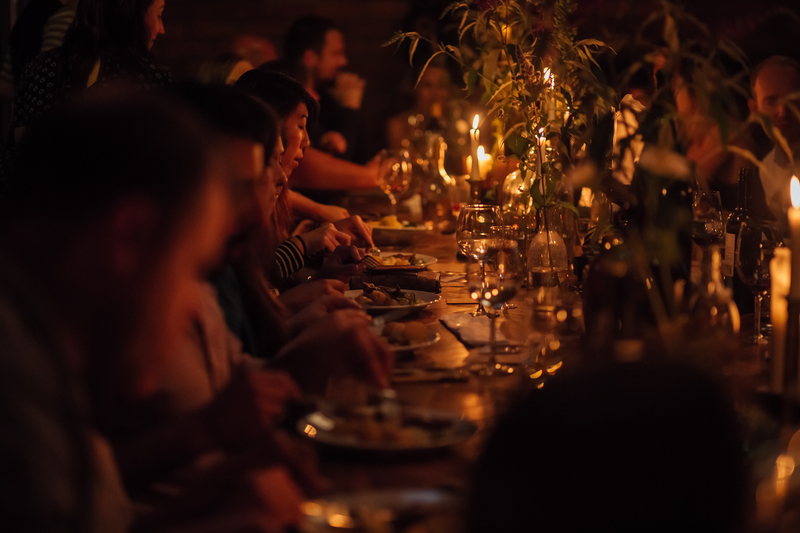 Our Supper Society is a mysterious society dedicated to the curious consumption of food - where you have to put yourselves in our hands, and relinquish control of your destiny for one evening. Starting the evening off the absolutely best way to start an evening off, with Bloody Mary oyster shooters... "the vodka shot was just what we needed to kick-start the evening!" Our second course, tender ham hock braised for 8 hours (served with salt & vinegar crackling) was "melt-in-your-mouth delicious and has this lovely smokiness to it," the main and the "pièce de résistance"- a 36-hour cooked lamb breast "fell apart exquisitely when touched", and the rhubarb & custard granita "just blew my mind!" 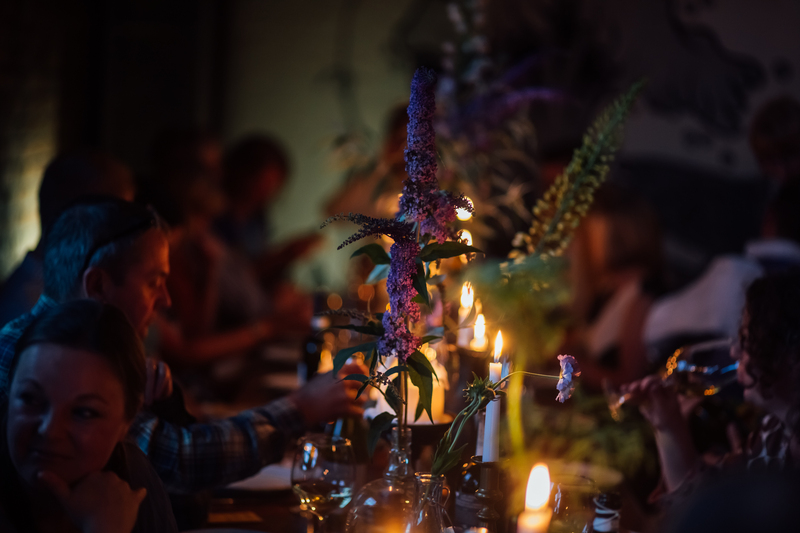 The verdict: "the whole evening was very well thought out, the attention to detail was impeccable and it tied in well together with this supper's theme: Summer Meadows. 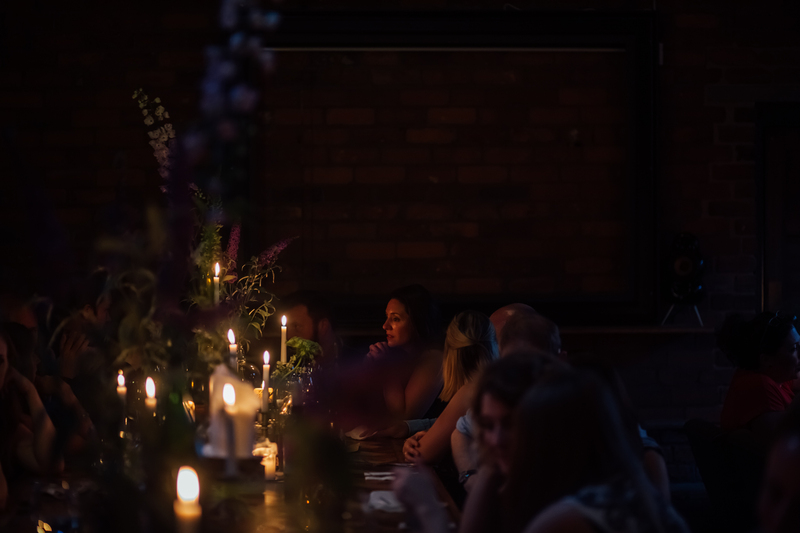 It was definitely as much about experience as it was about food and presentation. I will be back". Hurrah! You can read the whole Exposed review HERE. 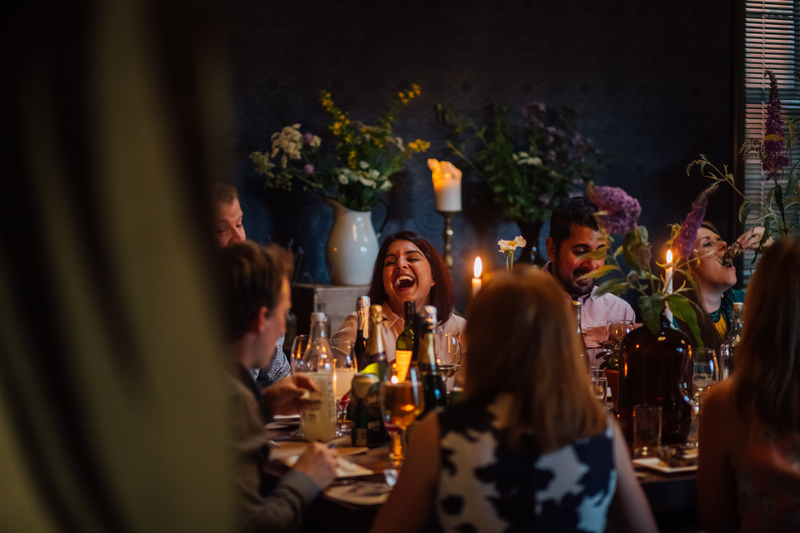 And make sure you never miss out on another Supper Society, by signing up to our mailing list HERE.